Marshfield Clinic Expansion TIA - TADI - Traffic Analysis & Design, INC. Marshfield Clinic Expansion TIA - TADI - Traffic Analysis & Design, INC.
To provide an in-depth traffic analysis of the internal and external traffic patterns of the existing Marshfield Clinic and the expansion plans of the Marshfield Clinic along with recommended improvements to enhance vehicular and pedestrian safety and efficiency in and around the campus. 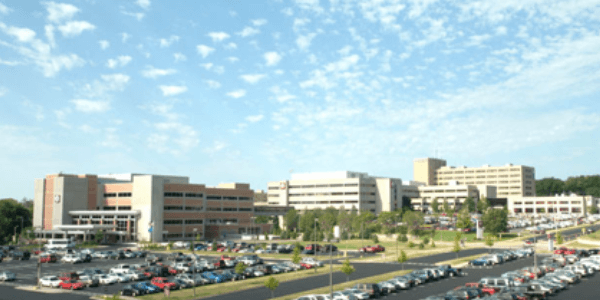 A new 500,000 square foot hospital building is being proposed for the Marshfield Clinic in the City of Marshfield, Wood County, Wisconsin. The proposed new hospital building is on a site currently occupied by a large surface parking lot located south of Upham Street, east of Oak Avenue, north of Ives Street, and west of Walnut Avenue. The displaced parking spaces will be replaced with a small surface parking lot near the hospital entrance area, a 700-space parking structure to the north of the new hospital building, and two off-site parking lots totaling about 500 spaces with shuttle access to and from the Marshfield Clinic complex. TADI recommended intersection and roadway improvements to accommodate the additional traffic from the new hospital building and the displaced parking area traffic rerouted to the new parking areas. Buildout traffic volumes were evaluated for signal warrants at five of the study intersections along with reconfigured turn lanes to provide additional capacity and improve safety for the short, but heavy peak traffic times as employees arrive and leave the parking lots.